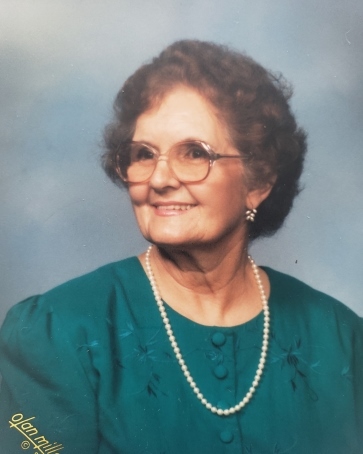 Jacqueline M. Richey, 93, of Fort Myers, FL, Columbus, OH and East Liverpool OH. Died peacefully at home on Thursday, January 10th. The daughter of the late John R. McGraw and Dorothy Thayer Murray, she was born on September 6th, 1925 in East Liverpool, OH. She was preceded in death by her husband of 57 years, Harry H. Richey, and her daughter Karen Ruth Sydow and her brothers Keith R. McGraw and Patrick T. McGraw. Survivors include: Daughters Cynthia M. Pasco, Ft. Myers Fl, and Emilie J. (Husband Charles) Pitzen, Columbus, OH and Son Harry H. Richey Jr, Jupiter FL, two sisters; Wanda L. D’Orio, Ft. Myers, FL, and Marlene C. Bradley, Banning, CA and one brother, John W. Murray, Amodo, AZ. Grandchildren: James D. (Wife Deborah) Eriksen Jr., Hamilton OH, Robert A. (Wife Stacie) Sydow, Midlothian, VA, Lore M. Sydow,. South Charleston, OH, Christopher L. (Wife Rebecca) Fortney, Victoria, B.C., Jonathan T. (Wife Ashley) Fortney, Columbus, OH., Carrie E. (Husband Matthew) Kernich, Durham NC, Nicholas L. (Wife Kimberly) Richey, Kodiak, AK, Derek J. Richey, Jupiter, FL. Great Grandchildren: Michelle N. Eriksen, James D. Eriksen III, Kristina N. Eriksen, David A. Sydow, Andrew R. Sydow, Elyse Sydow, R’reyana Wortham, Frankie White, Huson Fortney, Gabriel L. Fortney, Ayden Richey, Ava G. Richey. Great-Great Grandchildren: Julian Sydow, Emory Sydow. Nieces: Candace Rayburn, Gabriel(Husband Bob) Vincent, Nephew: Michael Rayburn. Graveside service will be held at Lee Memorial Park, 12777 State Rd. 82, Fort Myers, FL 33913 at 12 Noon on Wednesday, January 16th, 2019 Arrangements by Harvey-Engelhardt Funeral Home, 1600 Colonial Blvd. Ft. Myers, FL, 33907. Flowers can be sent to the funeral home or if preferred, donations sent to Hope Hospice, 9470 Healthpark Circle, Fort Myers, FL 33908.